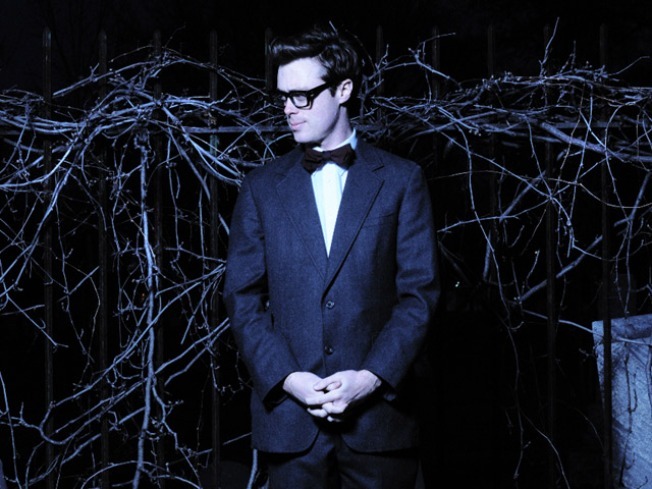 Jeremy Messersmith is touring in support of his third album, the Reluctant Graveyard. THINKING MAN: Jeremy Messersmith makes ultra-melodic pop with dark, literate lyrics – what’s not to like? He plays Joe’s Pub, hawking goods from his third album, the wonderfully-named (and downloadable on a name-your-price basis at his website, BTW) Reluctant Graveyard, and beyond. 9PM. ROOTS: Q: How often do you get to see a musician of the stature of Lee “Scratch” Perry – legendary producer, reggae icon, and magnetic performer – on stage these days? A: Not very. He comes to Highline Ballroom, 9PM. MOVES, BUSTED: The only problem with tonight’s (and tomorrow’s) MGMT show taking place at Radio City, far’s we can tell, is that Rockette HQ isn’t exactly mosh-friendly. And we can hardly imagine taking in the excellent psychedelic disco of the Brooklyn duo without getting all spastic. 8PM.